Tomer Mann, EVP, SVP of Sales at 22MILES, was recently featured on Sixteen:Nine’s podcast. The host, Dave Haynes, had questions about our Carry2Mobile™ solution and how it helps retail businesses. 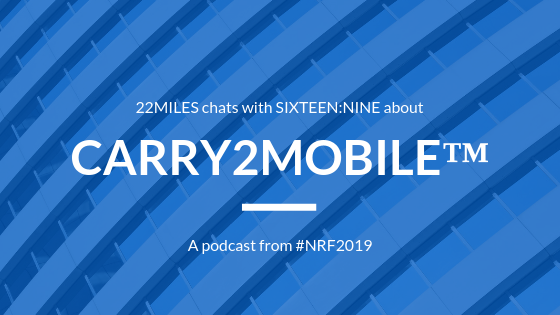 From franchise locations to shopping malls, Tomer explains how Carry2Mobile™ creates a better buyer experience and improves user engagement.